At ten minutes past seven, I'm ready. We're on a business trip to Hermosa, Bataan. We had an ocular visit to the place to gather information on the project we are starting. It was Saturday morning and EDSA going NLEX was bearable. I'm still very sleepy that I put on my earphone and take a nap while on road-trip. It wasn't effective; from time to time I had to investigate the commotions every time my friends having fun taking pictures on things it excite them while on side-trip. One of my friends brought her DLSR camera, so taking pictures would always be in a menu every time we had an out of town escapades. We took the SCTex (Subic-Clark-Tarlac Expressway) for a Dinalupihan exit and we were greeted warmly by mother earth, serene feelings we're suddenly all over us. Seeing those green grassy fields all over the place was just a relief. I felt very calm seeing those beautiful landscapes and eye-catching sceneries. Very eminent was the grassy fields of white flowery talahib. They were lovely as they enjoyed smiling back at the visitors passing by. 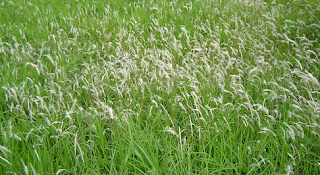 Talahib (Saccharum spontaneum) or Kans grass belongs to the family of the sugarcane. 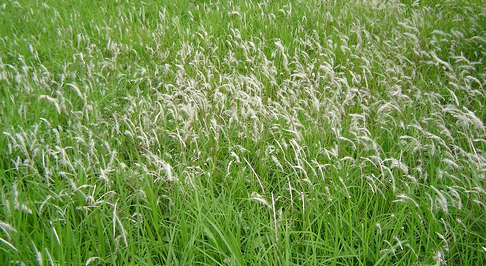 Talahib is actually called as the wild sugarcane, and are native of South Asia. Usually grows up to three meters in height and the flowers are usually white in color and when windy months of August to September, these flowers blow with wind and fly to far distances. Beliefs has it that if you catch the flying flowers in your hands, you can make a wish and blow it back to the wind and your wish will be granted. I love to try it but we're on a hurry so I dismissed the idea. Oh I wanna be a child again, lol. I was really enjoying the scenery that I never resorted back to my nap. I was contented seeing mother earth in her raw beauty. We arrived, Hermosa at fifteen minutes past eleven. Immediately, the boys had our usual moment, peeing under the Mango trees, lol. We cannot find proper CR, okay? And beside the idea was embraced after seeing one of the locals doing the same thing, lol. After the much needed release, we visit the church. It was a lovely church and the architecture was classic, we offered a minute of prayers and ofcourse made a wish. Again, according to belief, if you entered a church for the first time and you make a wish, that wish will be granted. I have done this in every church I visited for the first time. Now, if you ask me if my wishes were granted? Well, I'm still waiting, lol!